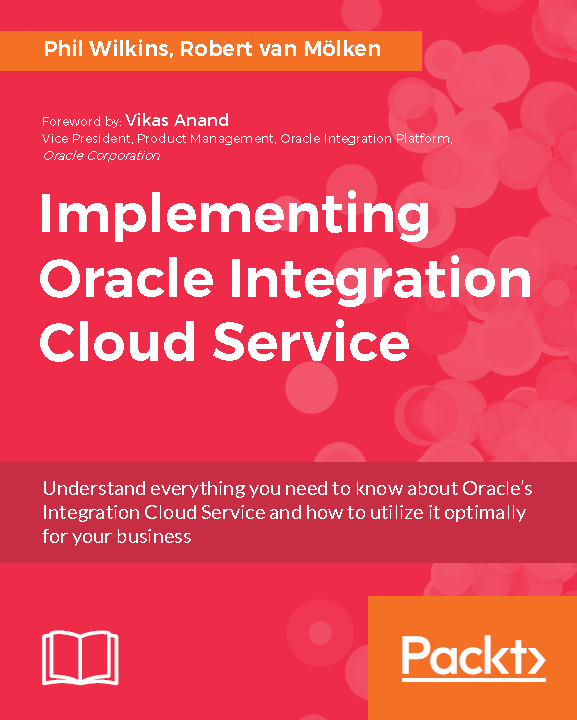 Oracle have announced Oracle Integration Cloud, the next evolution in their cloud integration capabilities. So how does it relate to the existing Cloud based integration products and what is the future of different products? To best understand this, let’s first look at the existing landscape. Our first diagram shows a subset of the Oracle PaaS offerings most closely related products from a capability perspective such as SOA, ICS, PCS. We haven’t tried to address all the offerings as there in the region of 50 products now before we even consider the related IaaS products such as container Cloud. These elements are highlighted in this diagram above. As you can see, these products don’t overlap their the capabilities; and can see as complimentary. In the short to midterm the capabilities in OIC or the individual contributing Cloud Services are unlikely to differ. We are expecting (our view) OIC’s development as most likely going to around making the usage experience seamless. Whilst we haven’t yet got our hands on OIC to try things out. You can be assured that the ICS import and other expert capabilities will allow you to migrate your Integrations. The following diagram overlays OIC against the capability view. There are some other non-functional differences as well. Today when you acquire the use of ICS it comes as a ‘POD’ (Point Of Delivery). A POD comprises of a prebuilt database and two compute nodes running the ICS engine, and a management server which runs the UI. The POD which makes ICS Deployment so elegantly simple is also presently a limitation for high volume scenarios. This is because, to increase capacity requires am additional POD to be purchased and some form of workload division to be applied. Initially OIC will require you to assemble the constituent parts yourself from the different Services, ie buy storage, database and then OIC. This is how we build many other current PaaS offerings such as SOA CS. But later in the year it is likely that there will be a more automated (managed) deployment of OIC that will allow you to instantiate everything at once (just as ICS can). This is expected to be done by defining a desired ‘compute shape’ and should be scalable in a more dynamic manner. There is one other significant change that whilst not technical, will have some far reaching impacts. Today ICS is paid for primarily through the number of connections. This has been a distinct constraint in use cases where they are highly connected but low volumes. However the ‘universal credits’ will address this and you will pay purely on the necessary compute power. Whilst we have not yet seen the specifics it would be fair to assume that universal credits will be applicable to OIC, but ICS may not at least initially benefit from the new scheme as it creates a migration incentive. Where B2B features such as EDI are needed. This positioning does point to the need for capabilities to migrate SOA elements to ICS, or OIC. In the pipeline for release later this year or early 2018 is tooling that will allow you take a SOA composite and import it into OIC. This isn’t a simple case of OIC executing you BPEL etc, but a process of transforming the composite to a configuration that describes OIC feature configuration. Why the transformation? Well, we have seen is a reality where industry standards such as BPEL have been feature extended by different vendors, and the ideal of vendor neutral definitions allowing a completely portable solution have not really been heavily exploited. When it has come to product selection the portability is rarely feature in the final product selection decisions. Often standards compliance is a proxy for confirming rich capability. As a result the new Cloud products have dropped the constraints of supporting BPEL and its imposed constraints to create a more efficient solution. What the transformation tool won’t be able to understand are considerations such as execution locations. For example if the composite invoked another on-premises solution it is not going to understand the implications of this. So you may need to actually run that composite in a manner that accommodates such implications. For example either using API Platform or using an execution agent. You may have noticed hat we have also shed Oracle Messaging Cloud from the landscape. Whilst we haven’t heard anything specific on this from Oracle, the rise of Event Hub and its ability to perform the same core capabilities I believe we will see its retirement. To facilitate this change adaptors on the event hub providing a JMS API and the elegant push listener capability of the Message Cloud will ne needed. What does this all mean to the book? Whilst we will see some new screens in OIC, you will quickly see that it navigates into ICS. So there will be some slightly different screens, but these changes wont be fundamental. This all means that the book is still valid. It simply wont tell you about the Process aspects for example in OIC.